Last weekend Foundation staff enjoyed hosting our annual Young Scholars Fall Family Gathering for local Young Scholars and their families. JKCF staff spent the afternoon catching up with some of our older Young Scholars and getting to know our newly selected local Young Scholars. 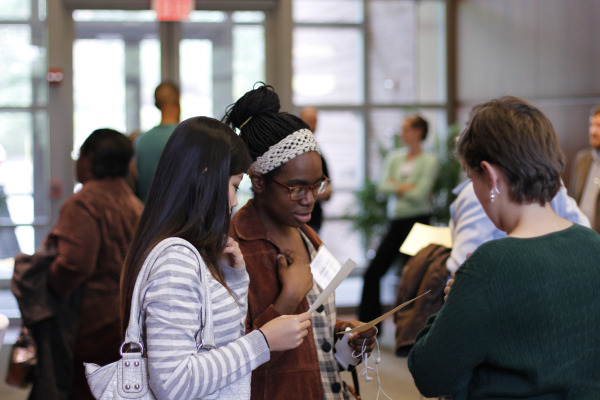 Young Scholars mixing and mingling in the JKCF lobby at Saturday’s event. 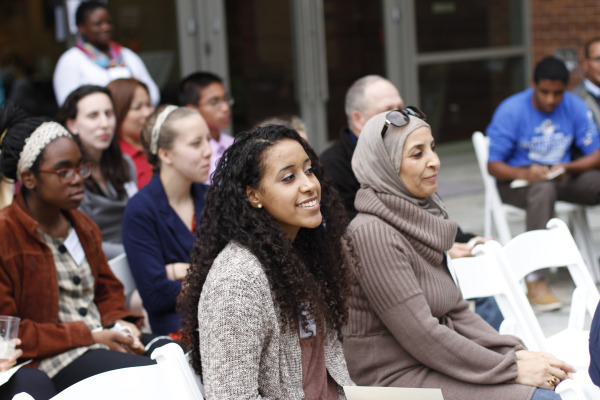 16 – The number of local Young Scholars and their families who spent the afternoon at the JKCF headquarters. 5 – The number of new local Young Scholars we welcomed into the program with a recognition ceremony. Attendees enjoying the recognition ceremony for our newly selected local Young Scholars. 3 – The number of Young Scholars in their last year of high school who spoke about their experience participating in the program and offered advice to the newly selected cohort. 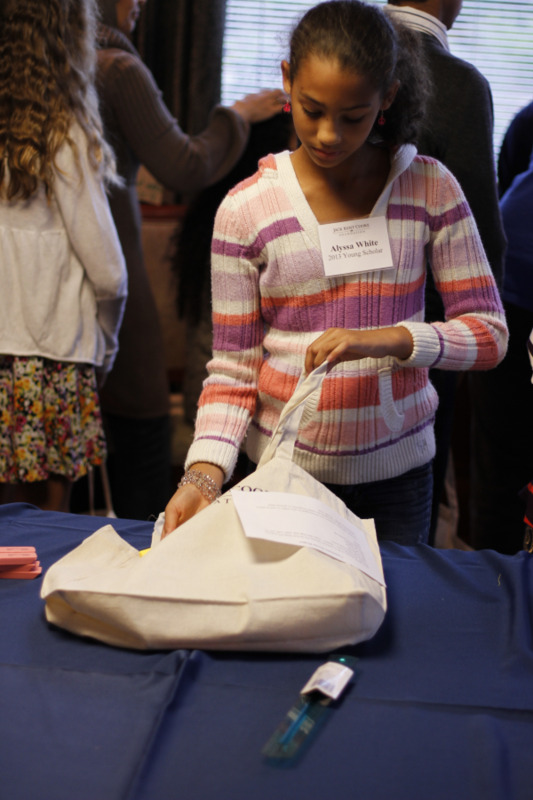 25 – The number of tote bags stuffed with school supplies during the event and donated to Loudoun Citizens for Social Justice. New Young Scholar, Alyssa White, participating in our community service project for the day. Thanks to all of the Young Scholars and families who were able to join us for a memorable occasion. We look forward to seeing you at the next local event. 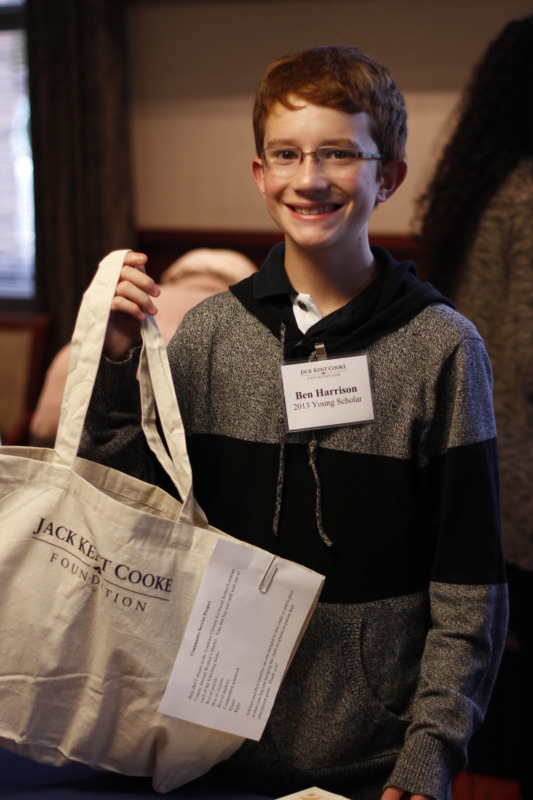 New Young Scholar, Ben Harrison, showing off his contributions to our service project.